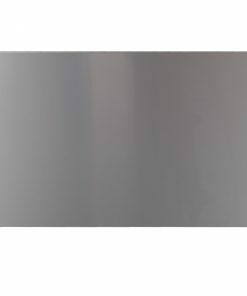 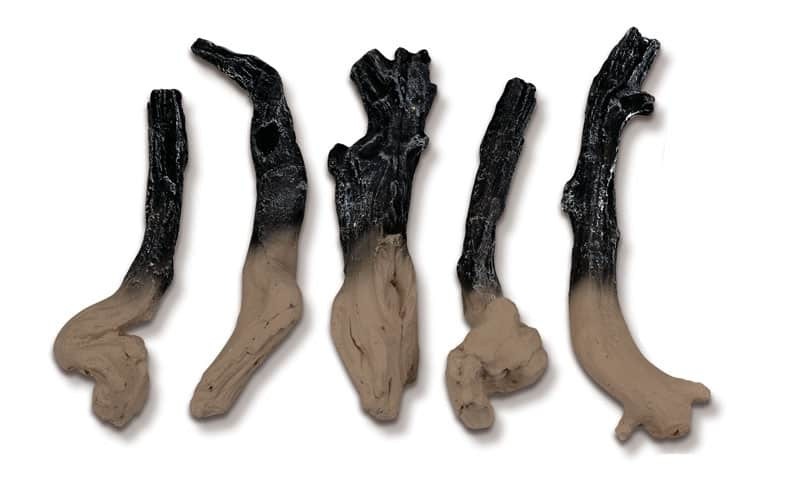 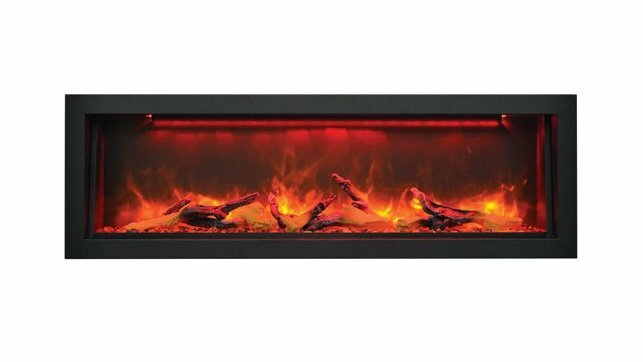 Overall Size: 49.25″ wide x 23.5″ high x 12.75″ deep. 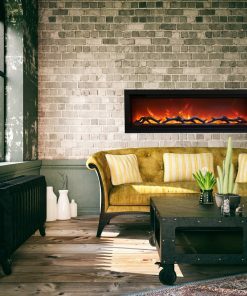 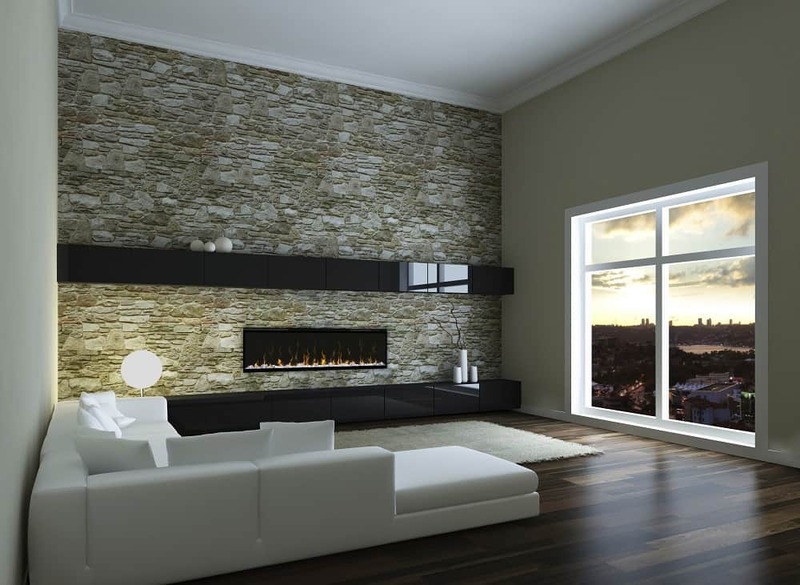 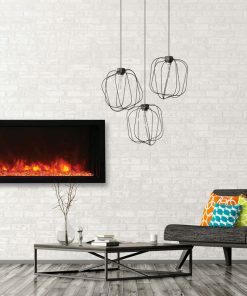 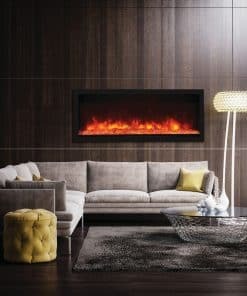 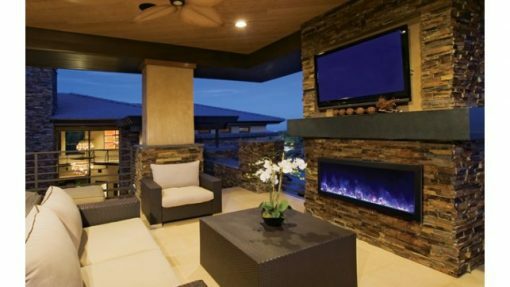 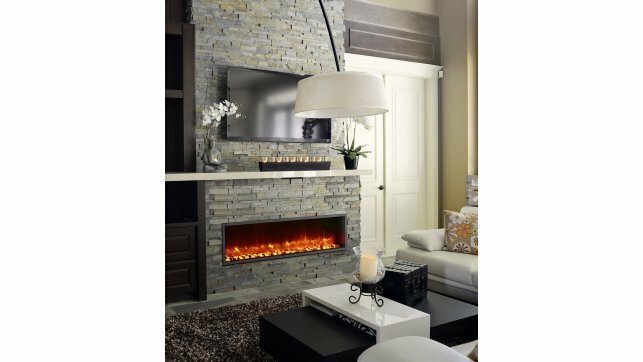 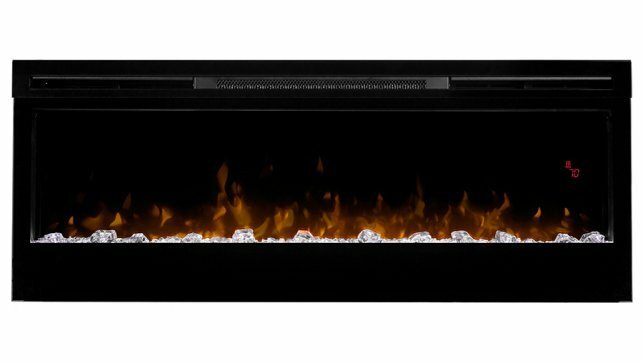 The stylish Amantii BI-50-DEEP electric fireplace will be a focal point in any room, indoors or outdoors. 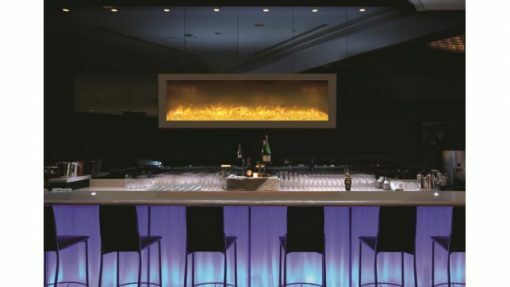 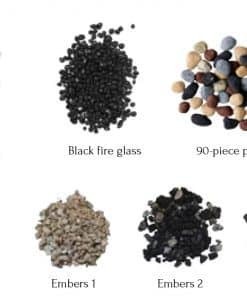 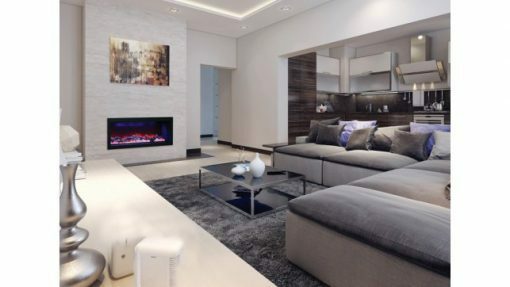 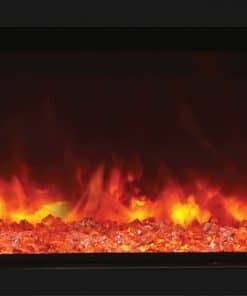 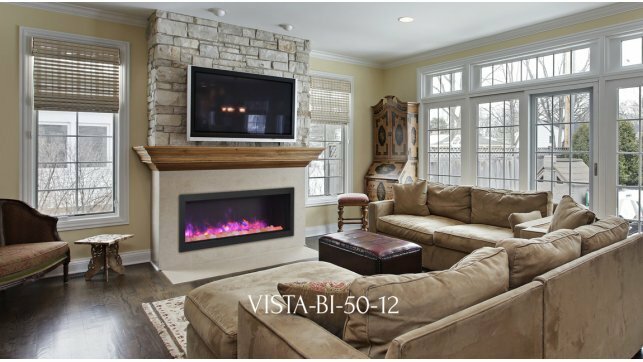 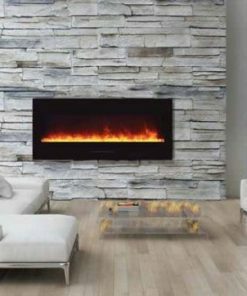 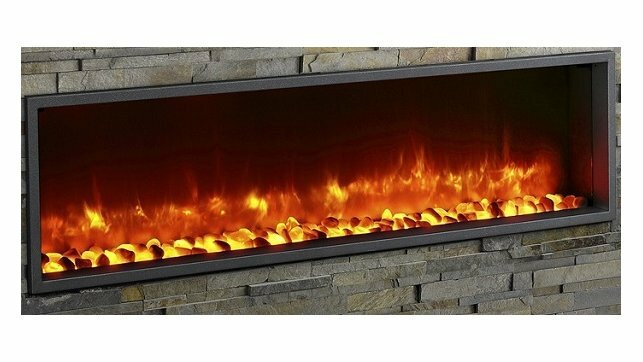 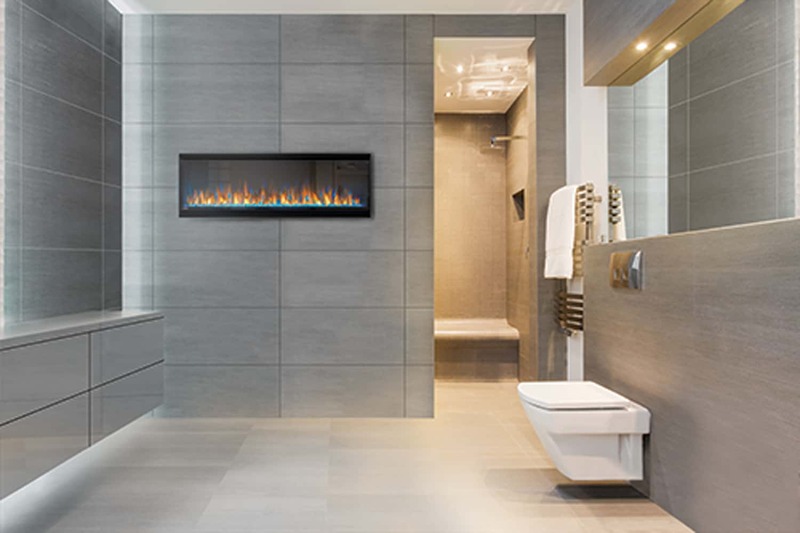 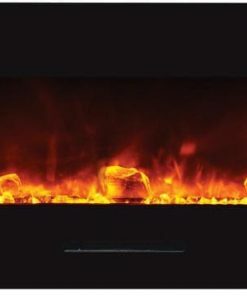 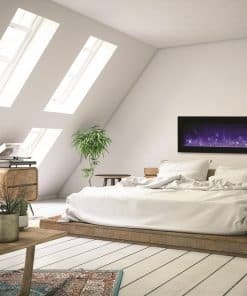 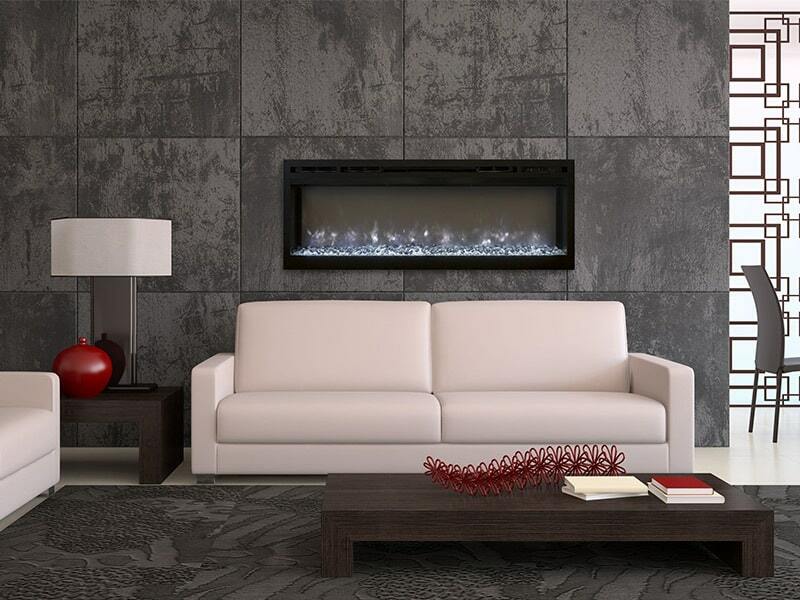 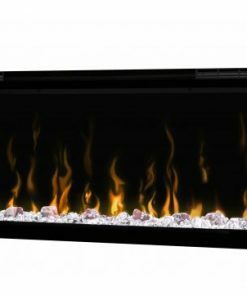 The Amantii BI-50 Deep gives you the ability to install your fireplace with your choice of finishing material built right to the glass for a “clean face” design or using the provided black metal surround. 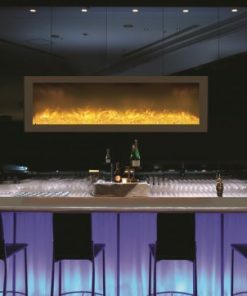 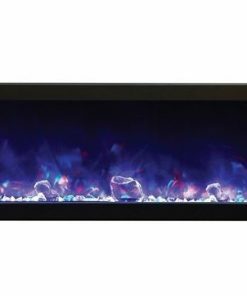 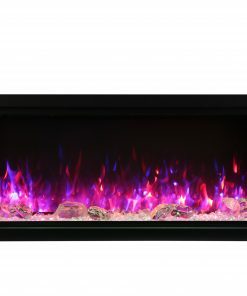 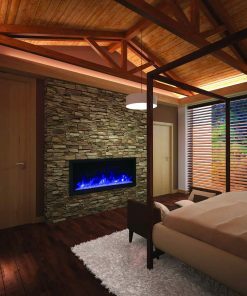 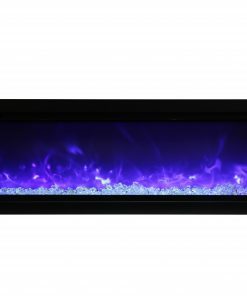 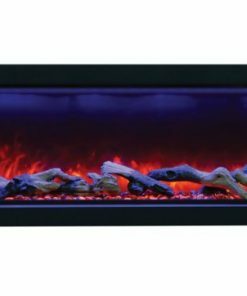 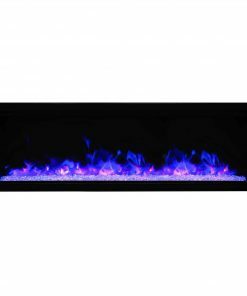 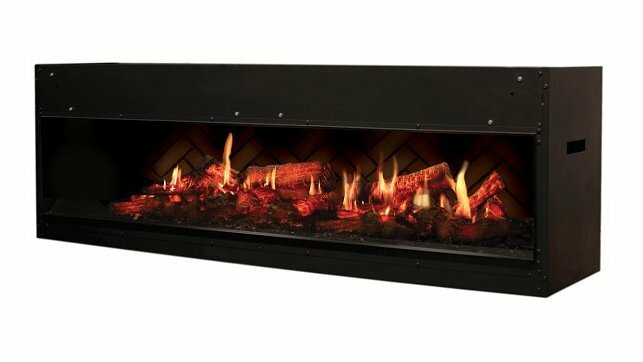 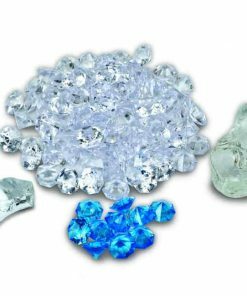 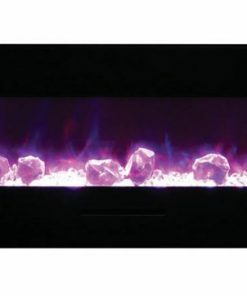 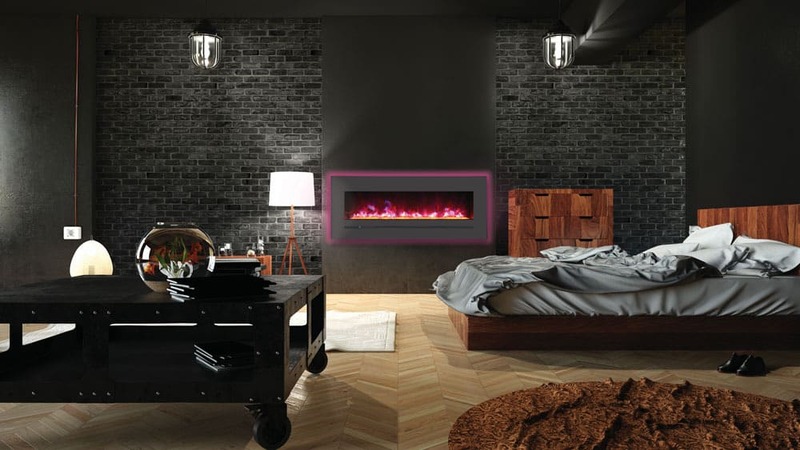 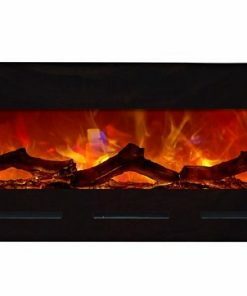 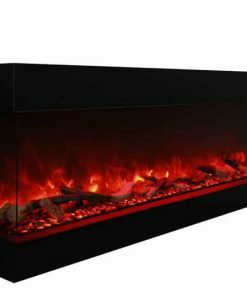 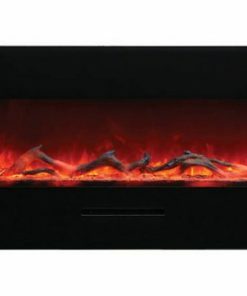 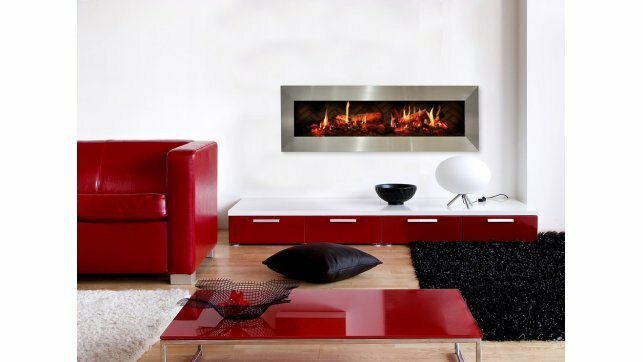 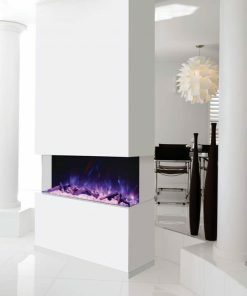 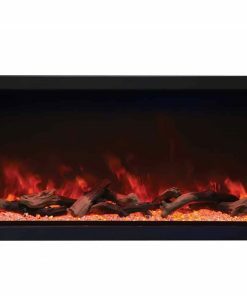 The Amantii BI-50-Deep features the vibrant Fire & Ice® flame set. 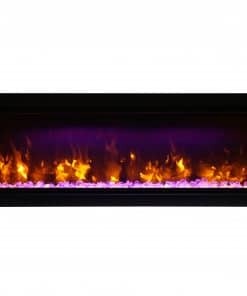 With just a click of your remote you can easily change the flame colour from blue to purple to violet to orange or yellow. 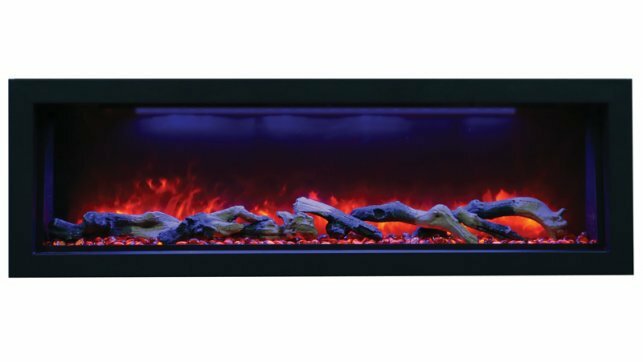 Included Media — comes with Ice media package plus 11-piece driftwood logset.